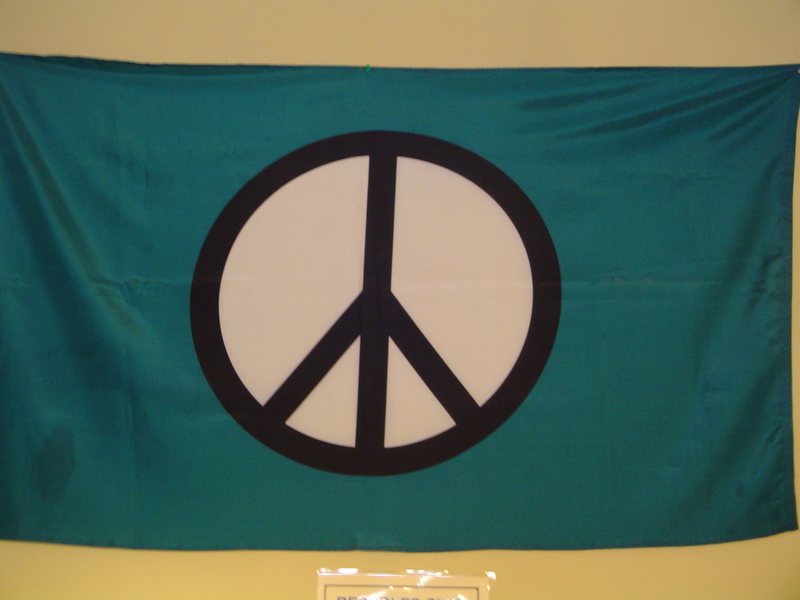 The original peace flag from the 60's. This flag will grace any home or business with the message of peace. Green background with black and white peace sign graphic. Flag is large, 3 feet by 5 feet and comes with grommets on one end for easy hanging.